Hmmm, will I ever fully comprehend the enchantment that nature weaves around me? I am on vacation right now and indulging the nature geek in me. So why am I blogging on a sultry, sun-bleached day custom made for butterfly and dragonfly sleuthing? Confession: At the age of 60 with a temperamental back, I cannot hit the trails every day anymore. Rest days are a must even though the part of me that refuses to acknowledge limitations bitterly complains. So I will compromise today and take a look at some of the highlights of my summer to date. One of my first outings in early June turned up a much prized Harvester – only the second time I have set eyes on the only carnivorous butterfly in these parts. This nickel-sized, gossamer-winged butterfly, with blotching markings that camouflage it well, never visits flowers and feeds on aphids or ant larvae. Hairstreaks, always a delight to find, also fall into the gossamer-winged category. They dart out from a perch and furiously flutter around before perching again. Tracking them back to their perch can be maddening. This is the Banded Hairstreak – the most common of this diminutive and hard to find species. Butterflies can be a challenge to identify which is part of the appeal of this pastime. 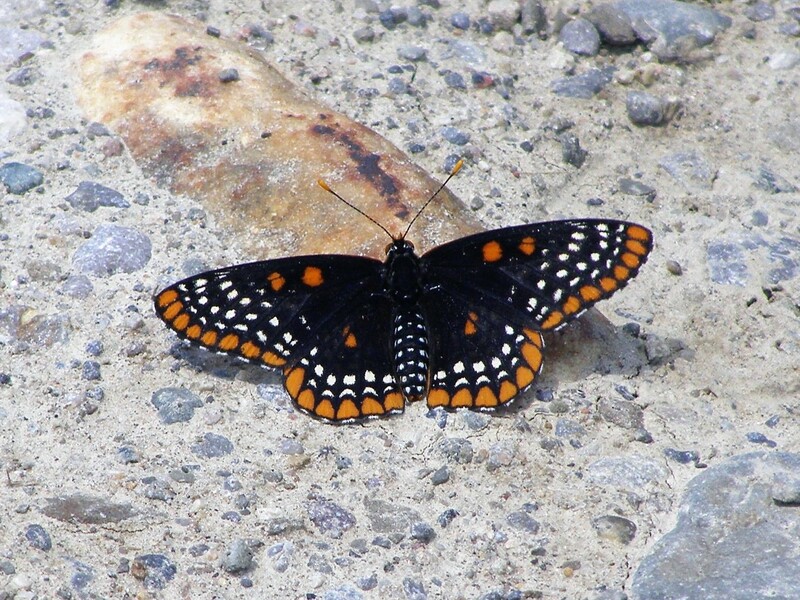 But there is no mistaking a Baltimore Checkerspot with its regal attire of black, white and orange. They are usually uncommon. But this seems to be an irruption year for this species as I saw many of them on my outing yesterday. 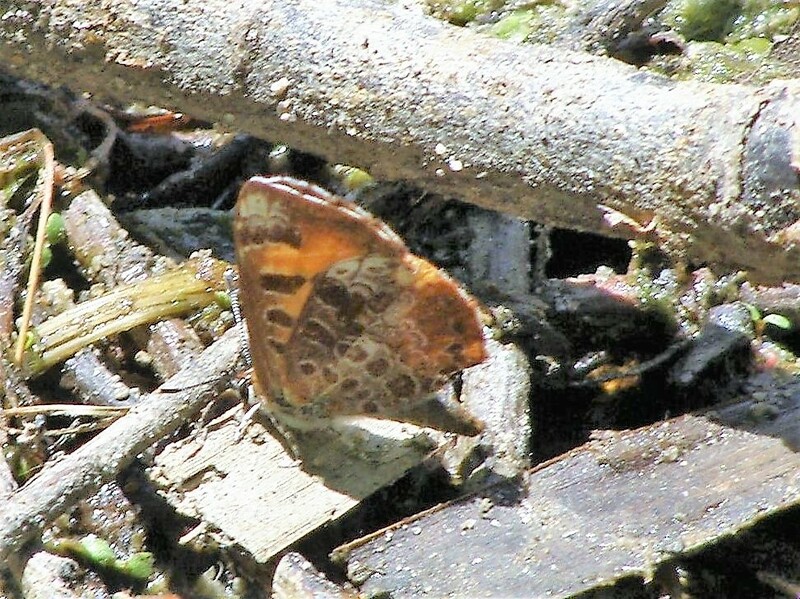 Duskywings are in category known as Skippers which comprise roughly one-third of all butterfly species in North America. 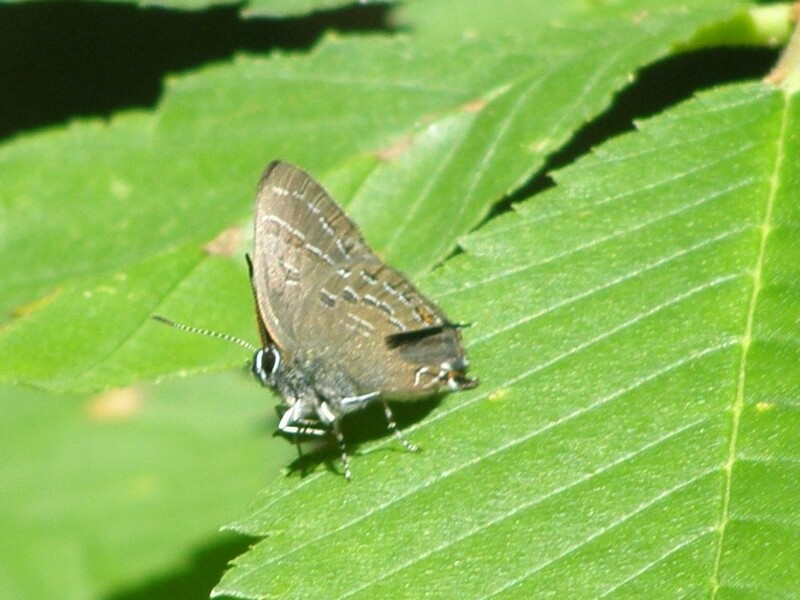 Duskywings are notoriously difficult to ID. 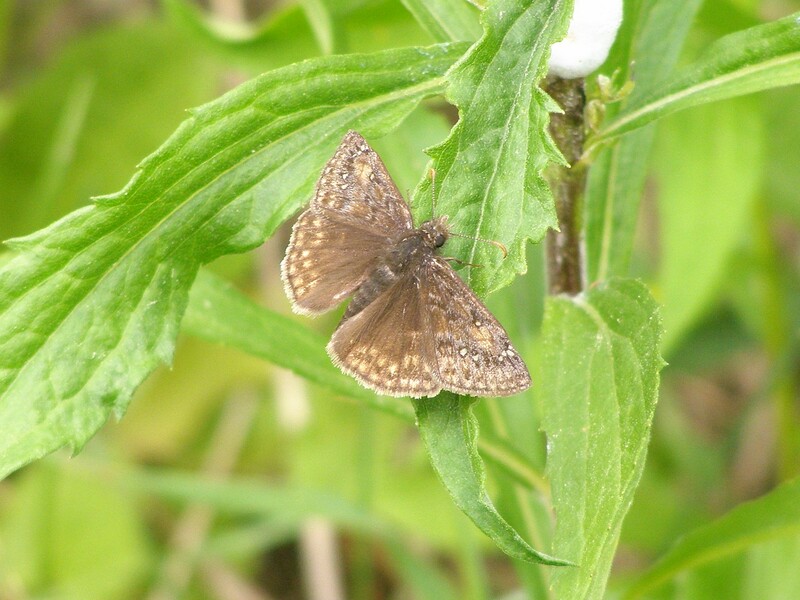 But I am relatively confident that this is the whimsically named Dreamy Duskywing which surprisingly put in an appearance on the same day as the Harvester. Since this post is titled Confessions an Aging Nature Geek, I must own up to two more of my idiosyncrasies. I would rather spend my time pursuing these elegant creatures than just about any other activity. They hold endless fascination for me and touch a fundamental part of my being that I do not fully understand. I have 93 species on my butterfly life list. There are few things more thrilling to me than logging another lifer. The nature geek in me has become irretrievably addicted to this experience. As you will know if you follow my blog regularly, I interpret life through the lens of metaphor. Butterflies are my metaphor for ultimate freedom – the desire to break free from the confines of everyday life and lose myself in the embrace of nature which demands so little and offers herself up so willingly for our delight. I am an unrepentant nature geek. If that challenges your concept of normal, I have three words for you – deal with it!